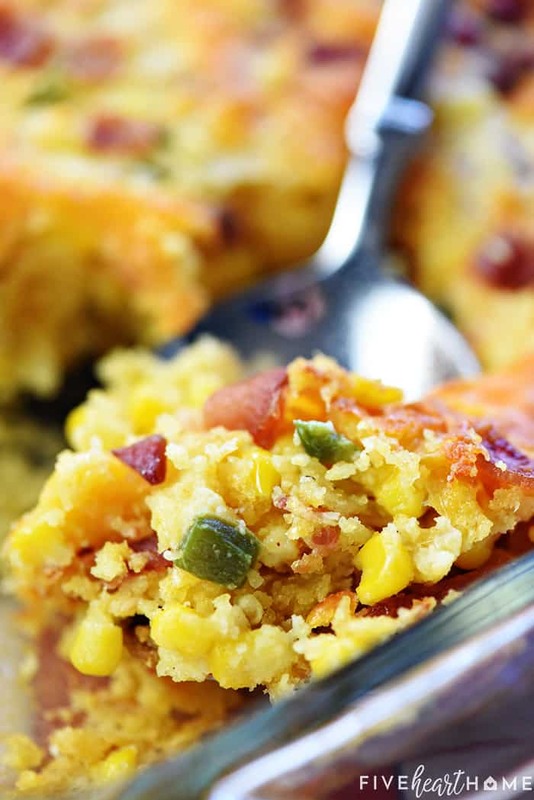 Ultimate Cornbread Casserole takes the classic side dish to the next level, made from scratch with the flavorful additions of bacon, cheddar, and jalapeño! 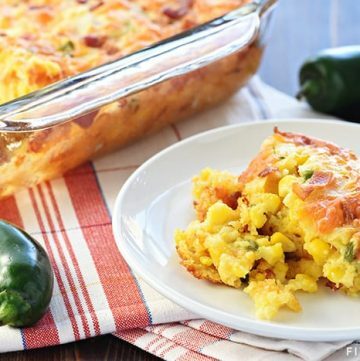 I have always made the same, delicious, decadent Creamy Cheesy Corn Casserole every Thanksgiving and Christmas and Easter and birthday and special occasion for years and years and years. Why mess with a good thing, right? But the truth is, this holiday season, I’ve got a hankering to change things up a bit! 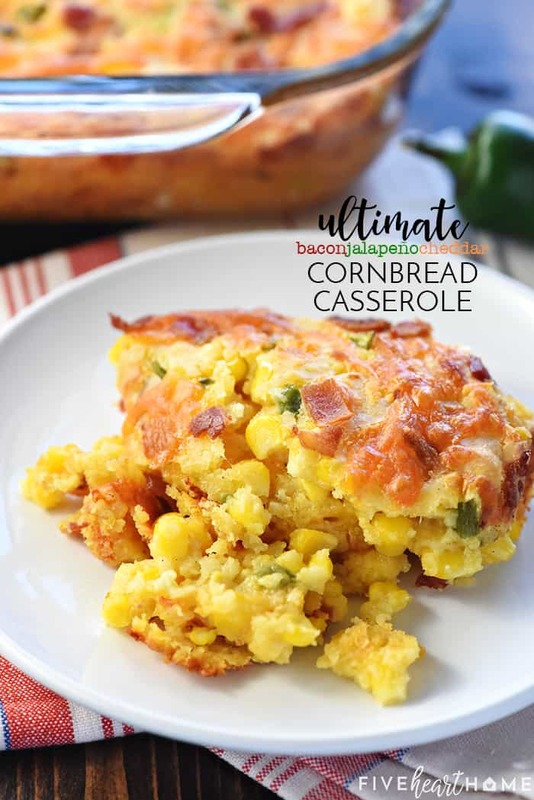 And after developing and testing today’s recipe, I do believe I’m going to be serving this Ultimate Cornbread Casserole for Christmas dinner from here on out! It seems that most folks have some type of corn dish on their table for big holidays. And while my other popular corn casserole gets its creaminess from cream cheese, this time I decided to take a stab at the traditional Jiffy cornbread mix-type corn casserole. Except I knew I didn’t want to rely on a packaged cornbread mix with its not-so-natural ingredients. Instead, I whisked together a few ingredients (AKA, cornmeal, flour, baking powder, and salt). This created my own simple homemade cornbread mix as the base for this Ultimate Cornbread Casserole. To the dry cornbread ingredients I added thawed frozen corn (I much prefer its flavor over canned), sour cream, and melted butter…hellooooo, holidays! But then, I wanted to take this cornbread casserole from good to great. You know, make it ULTIMATE. So I decided to mix in one of my favorite combos of ingredients: salty bacon, zippy jalapeño, and glorious cheddar! And the results were mahhh-velous. 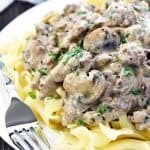 On the day I initially tested it, I served this recipe to my family as a side dish with dinner. 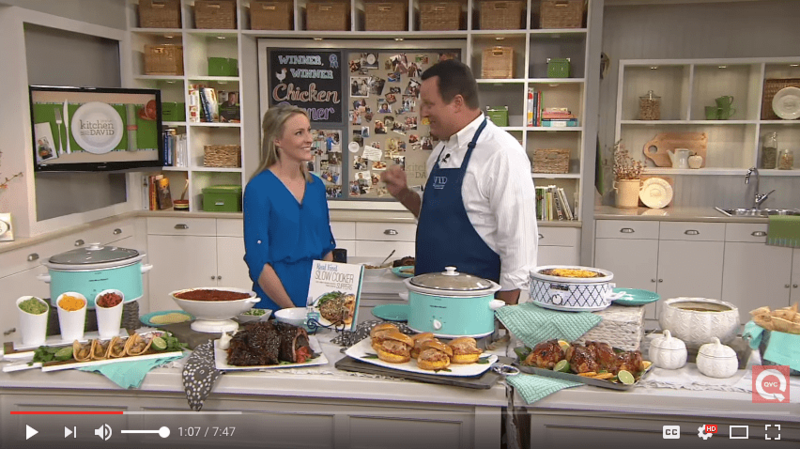 And my eldest son– who could happily eat nothing but stuffing on Thanksgiving…with a small side of creamy corn casserole for good measure — declared Ultimate Cornbread Casserole THE BEST SIDE DISH OF ALL TIME. Because in his mind, it was basically like combining stuffing and corn casserole and howcanasidedishgetbetterthanthat?!?! 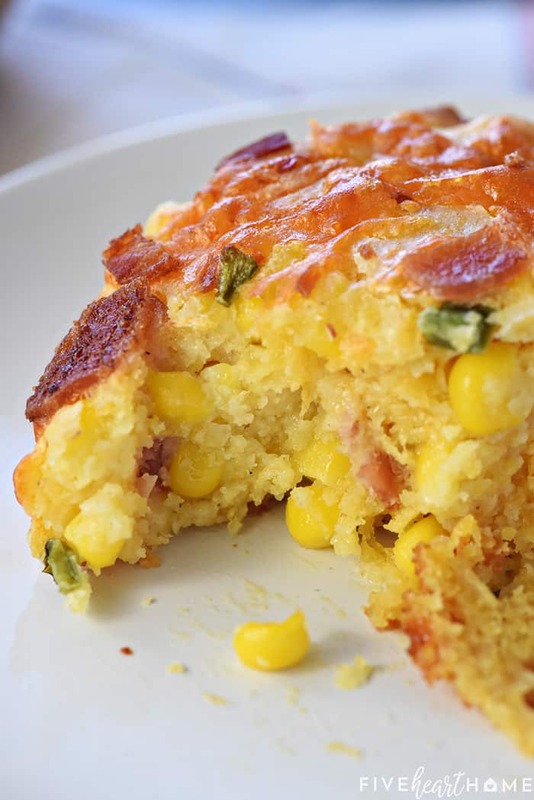 This recipe has the texture of moist, spoonable cornbread packed with plenty of sweet corn kernels. And then for a scrumptious flavor boost, there’s that aforementioned crispy diced bacon, minced fresh jalapeño, and grated sharp cheddar throughout. 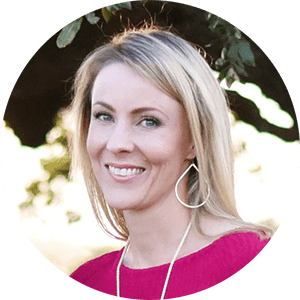 I’ve been known to add those ingredients to regular cornbread to rave reviews, so I wasn’t surprised that they worked swimmingly in this recipe as well. 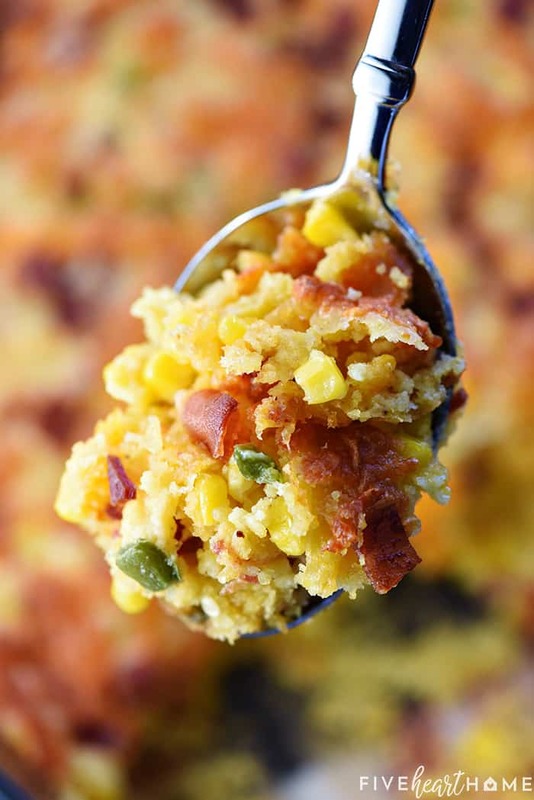 1 tablespoon sugar will give a slightly sweet undertone to the cornbread in this recipe. 2 tablespoons will make the cornbread noticeably sweet. 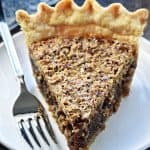 But you may leave out the sugar altogether if you prefer completely unsweetened cornbread. You can keep the jalapeño flavor in this dish very mild by removing all of the seeds and membranes from the peppers, which are where the heat is found. For a bit of heat, leave the seeds and membranes intact. And for extra heat, double up on the jalapeños! Speaking of which, feel free to add more bacon to this recipe if you so wish. And who wouldn’t wish for more bacon? 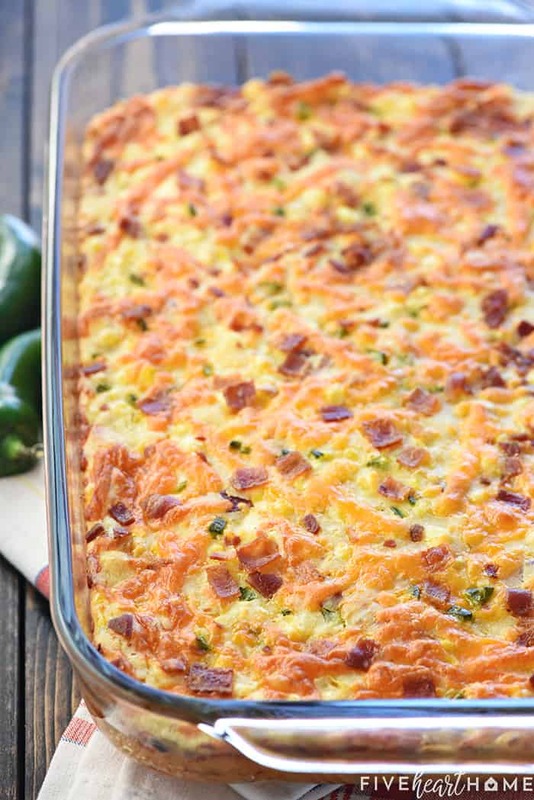 Don’t forget to reserve some bacon, jalapeño, & cheese to sprinkle on top of the casserole before baking. 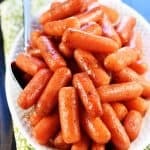 Not only does this garnish add a little color, but it also lets everyone know what they can expect to find inside the casserole once they dig in. Be careful not to overbake so as not to end up with dry cornbread. With oven rack in the center position, preheat oven to 350°F. Generously grease a 9- by 13-inch baking dish and set aside. 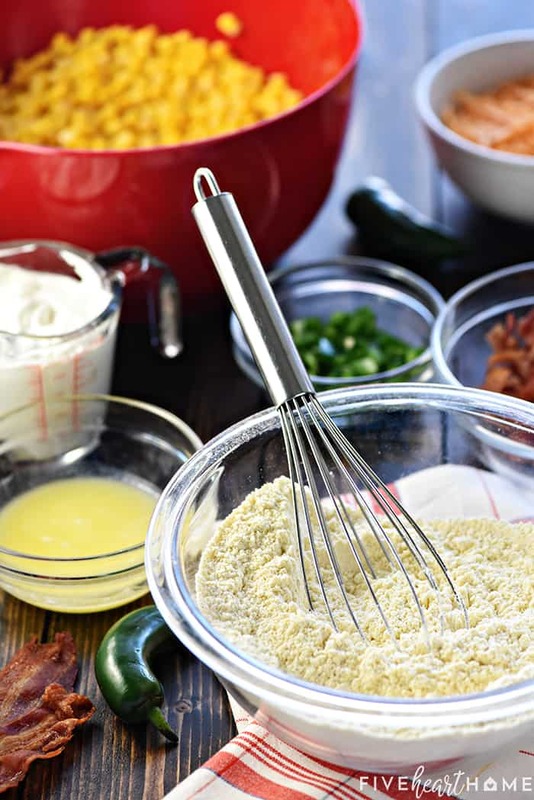 In a large bowl, whisk together the cornmeal, flour, baking powder, salt, and sugar. Add the corn, sour cream, and milk and stir to combine. 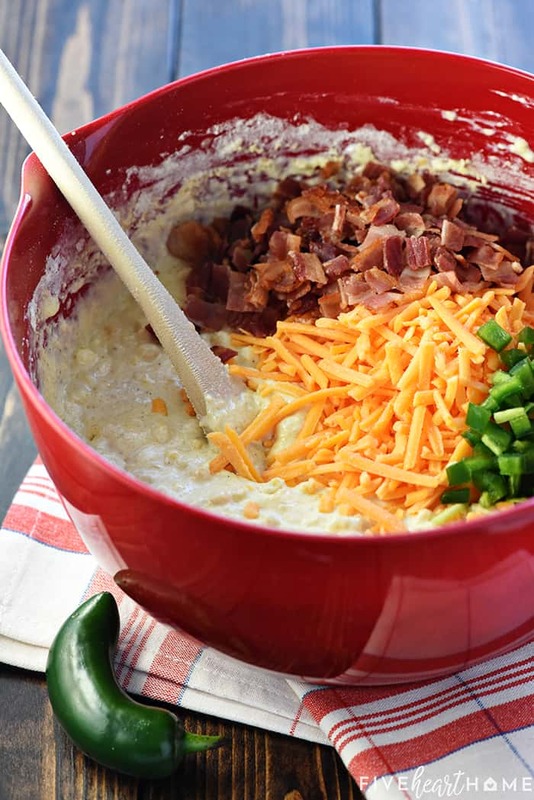 Blend in the butter, black pepper, most of the bacon, most of the jalapeños, and 1 cup of the cheese until just combined. Pour the mixture into the prepared baking dish. 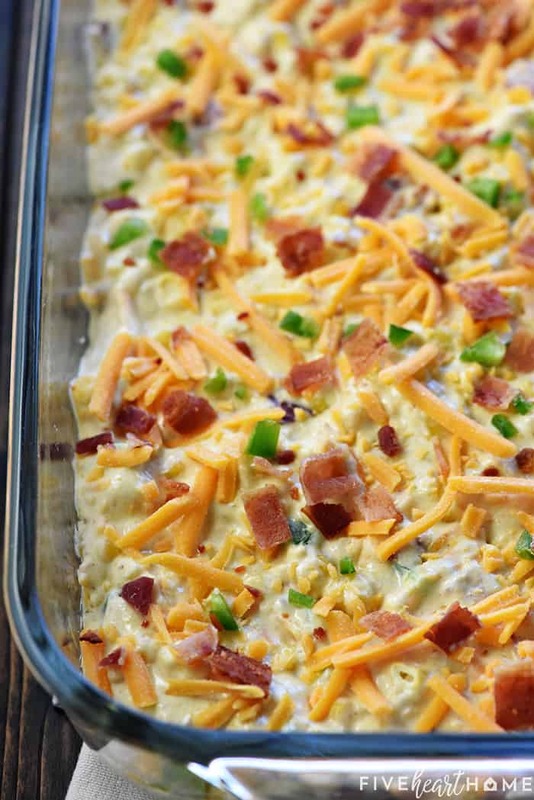 Smooth the top and sprinkle with the remaining bacon, jalapeños, and 1/2 cup cheese. Bake for 40 to 45 minutes or until the center is set and the top is golden brown. I love the sound of this casserole! 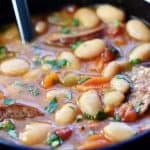 It looks so delicous and perfect for winter. 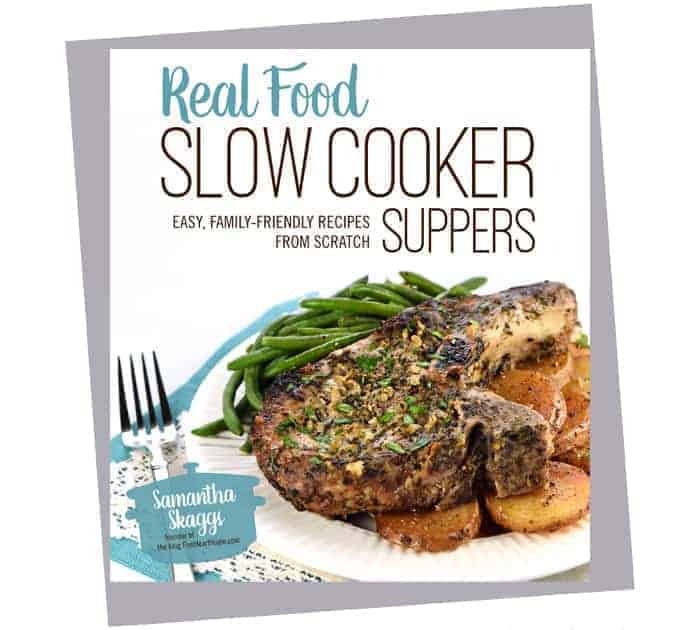 I simply cannot wait to try this recipe. Thanks! This was so good! We had it with our Christmas Eve brisket dinner.